I have been doing research on and in South Africa since the mid-1990s, initially looking at the way in which the meaning of apartheid – the meaning of South Africa in general – was mediated by international literary publics, using the example of J.M. Coetzee’s international reputation as a case study. This work led, in a roundabout sort of way, to research on post-apartheid media and cultural policy, and then, via a Leverhulme-funded Fellowship at what was then the Centre for Cultural and Media Studies at the University of Natal in Durban, to research in 2001 on the relationships between social movement mobilisation, media restructuring, and environmental politics. This led, in its turn, to another Leverhulme-funded project, from 2003 to 2006, exploring different dimensions of democratic transition in Durban, with a team of researchers from the UK and South Africa. I collaborated closely with Di Scott during this research, co-writing a number of pieces about the politics of environmental activism as a index of oppositional politics in a ‘new’ democracy. I am currently involved in a British Academy/Newton Fund project, led by Sophie Oldfield at the African Centre for Cities at the University of Cape Town, which is exploring the geographies of Theory in and through South African urban studies since the 1970s. Barnett, C. (1998). The contradictions of broadcasting reform in post-apartheid South Africa. Review of African Political Economy, 78, 551-570. Barnett, C. (1999). Broadcasting the rainbow nation: media, democracy and nation-building in South Africa. Antipode, 31, 274-303. Barnett, C. (1999). Constructions of apartheid in the international reception of the novels of J.M. Coetzee. Journal of Southern African Studies, 25, 287-301. Barnett, C. (1999). The limits of media democratization in South Africa: politics, privatization, and regulation. Media, Culture and Society, 21, 649-671. Barnett, C. (1999). Uneven liberalisation in Southern Africa: convergence and democracy in communications policy. Javnost/The Public, 6, 101-114. Barnett, C. (2000). Governing cultural diversity in South African media policy. Continuum: Journal of Cultural and Media Studies, 14, 51-66. Barnett, C. (2000). Language equity and the politics of representation in South African media reform. Social Identities: Journal for the Study of Race, Nation and Culture, 6, 63-90. Barnett, C. (2001). Media, scale and democratization. In K. Tomaselli and H. Dunn (eds.) Media, Democracy and Renewal in Southern Africa. International Academic Publishers, Denver, pp. 41-53. Barnett, C. (2002). More Than Just TV: Educational broadcasting and popular culture in South Africa. In C. von Feilitzen & U. Carlsson (eds.) Children, Young People, and Media Globalisation. UNESCO Clearinghouse on Children, Youth and Media, NORDICOM, Göteborg, pp. 95-110. Barnett, C. & Svendsen, N. (2002), Making the environment news: Reporting industrial pollution in Durban. Rhodes Journalism Review, 21, 54-55. Barnett, C. (2003). Media transformation and new practices of citizenship: The example of environmental activism in South Durban. Transformation: Critical Perspectives on Southern Africa, 51, 1-24. ISSN: 0258-7696. Barnett, C. (2004) Yizo Yizo: Citizenship, commodification and popular culture in South Africa. Media, Culture and Society, 26, 251-271. ISSN: 0163-4437. Barnett, C. and Scott, D. (2007). 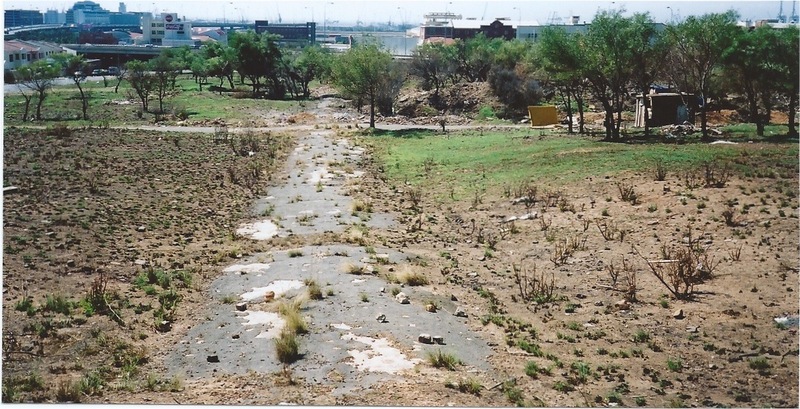 Spaces of opposition: activism and deliberation in post-apartheid environmental politics. Environment and Planning A, 39, 2612-2631. Barnett, C. and Scott, D. (2007). The reach of citizenship: Locating the politics of industrial pollution in Durban and beyond. Urban Forum. 18:4, 289-309. Scott, D. and Barnett, C. (2009). Something in the Air: Civic science and contentious environmental politics in post-apartheid South Africa. Geoforum 40, 373-382. Barnett, C. (2014). Theorizing emergent public spheres: negotiating development, democracy and dissent. Acta Academica 46(1), 1-21.